"Focused on combining superior design with the latest advances in technology, BitFenix creates state-of-the-art computer hardware and peripherals that blur the line between man and machine. Users shouldn't have to adjust themselves to the way their hardware works. So, we strive to put the user in complete control of his hardware, so that it functions as an extension of his will, and not as another variable he has to compensate for. In the heat of battle, the user should not have to worry about the state of his equipment, which is why BitFenix products are engineered to perform under even the most extreme conditions. No matter how taxing the situation, users can rely on the strength of BitFenix products to perform as they are intended. Finally, BitFenix is about performance. In the top levels of competition, the difference between first and second place can be razor-thin, which means that every advantage counts. BitFenix is about making high-performing products that give users an edge. 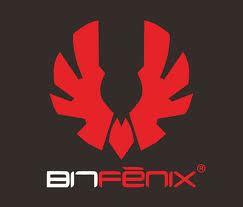 BitFenix is the result of the collaboration of several veterans in both the technology and gaming industries. From the same minds behind some of technology’s most venerable products, our goal is to create products that grant the user the utmost control, strength, and performance to complete their computing tasks. We understand that some of the most innovative and novel concepts come from the community itself, which is why we take great steps to listen to the needs of our users and develop optimal ways to integrate their ideas into our products. By working closely with the global community, BitFenix is able to engineer solutions that directly address the needs of our users." Today I’ll be reviewing the BitFenix Raider ATX case. BitFenix has only been around a couple of years now, but has been churning out many great cases (such as the Colossus or Shinobi) at a frequent rate. This case is a mid-tower, in comparison so some of its bigger brothers, however I have high hopes that it will still meet the expectations of the BitFenix name. Let’s see how it fairs in the review.